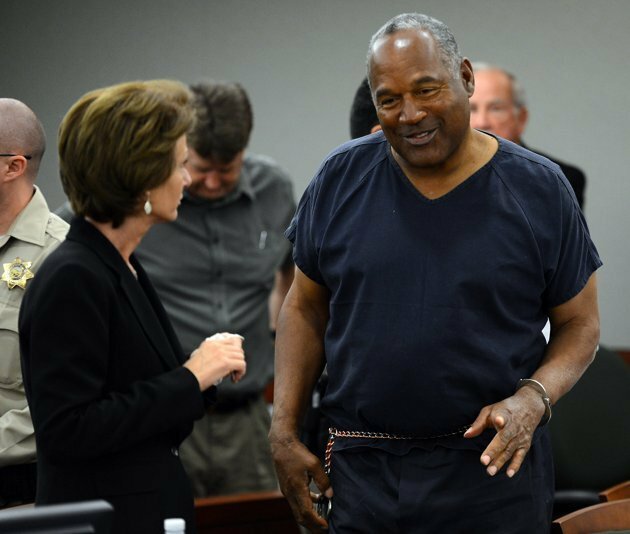 New reports claim that OJ Simpson has only three months to live as a result of his extreme case of diabetes and unhealthy lifestyle behind bars. The combination of high blood pressure, a vastly expanding waistline and a lack of physical activity as he serves a 33-year prison sentence have doctors concerned about his health. The first warning flags were raised when OJ Simpson appeared at a hearing in May when the former running-back looked much heavier than he ever had before. Now The National Enquirer claims that he weighs 300 pounds and prison doctors have encouraged him to exercise and eat more healthfully to combat the high blood pressure and diabetes. Instead, OJ Simpson is listlessly passing the days by laying in bed in his prison cell and only getting up to get sugar-filled snacks. “OJ’s doctors have told him he could be dead in as little as three months because of his out-of-control blood sugar and blood pressure,” an unidentified prison friend told The Enquirer. The 33-years OJ Simpson faces following a 2008 robbery are not helping motivate Simpson, as he is now making plans for his death. He allegedly confessed to murdering his ex-wife Nicole Brown and her friend Ron Goldman in 1994 and told a prison friend that he will write a confession letter that will be sent- and then publicly shared- after he dies. OJ Simpson’s lawyer, Ozzie Fumo, countered this claim, saying that in his months of interactions with Simpson he has “never once disparaged the Goldmans”. “In his mind, they’re creditors along with his children Sydney and Justin,” Ozzie Fumo said. The friends cited by The Enquirer said the double slaying came in a moment of rage that he regrets to this day because he still loves Nicole Brown. OJ Simpson also reportedly tasked his few close friends with finding ways to hide his remaining $2 million in off-shore accounts so that his son and daughter can access it after his death. In doing so, OJ Simpson would be in direct violation with the 1997 court ruling that said he owes Ron Goldman’s relatives $21 million after he was found at fault in a wrongful death civil suit. He has become even more withdrawn and oddly behaved – reportedly singing The Wizard of Oz’s If I Only Had a Brain to himself – since the retrial hearing in May. “He ignores people when they talk to him and often wanders around in a glassy-eyed trance. His family is being supportive but he’s not paying attention to them either,” one of OJ Simpson’s friends told The Enquirer.